In this article I’m going to explain a nice code that works with attribute. It’s something quite a few people are using but it never crossed my mind to write something about it until my friends from 100pro asked for it. As you can see, this company has two slightly different offers on their site. Due to that, the boss wants to have different pictures that match the two topics. Easy, you might say, just add a block in the header of each page – until you notice that there are quite a few pictures & videos and thus lots of pages. Still easy you might say, why not create two page types and use the page type defaults to manage these pictures? Well, you could do that but using a page type for that feels wrong and sometimes it’s not that clear that you need two different pictures. Silly story short: We want to specify a picture for “Business 2 Business” which is used on that page as well as all its children and we also want to specify a picture for “Funny Things” and its children. We’re going to use an attribute to assign a picture to these two pages. 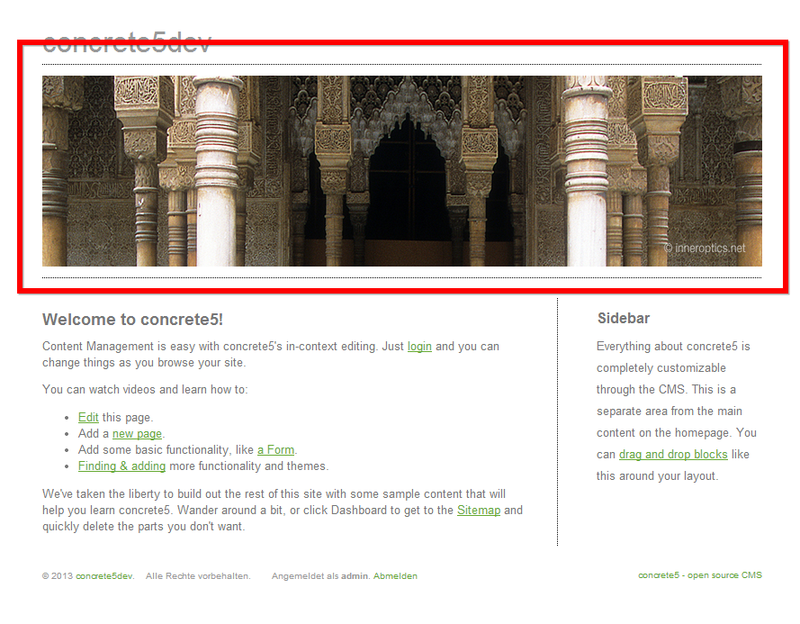 If you’re logged in, open this page on your site: /dashboard/pages/attributes/. At the bottom, select “Image/File” and hit “Add”. Enter “header_pic” for handle and “Header Picture” for name. 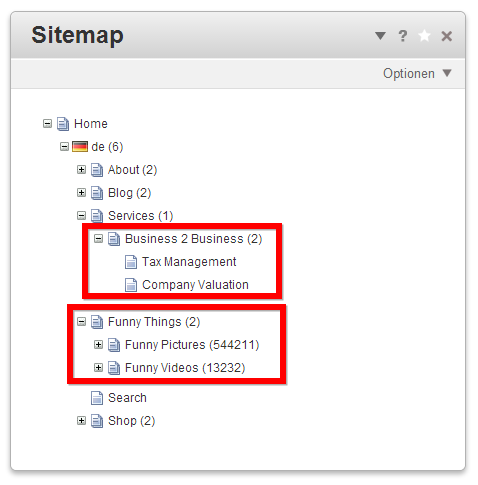 Next, go back to the sitemap /dashboard/sitemap/full/ and click on “Business 2 Business” and then “Properties”. If you switch to “Custom Attributes” and scroll to the bottom, you’ll find our new attribute. Click on it and select a picture of your choice. Save everything and do the same for the second page “Funny Things”. Now that we’ve assigned the two pictures to our pages, it’s time to do the coding. This code uses the navigation helper to get a list of all the parent pages and then loops through all of them until a page is found where the attribute with the handle “header_pic” has a valid file. In this case, we replaced the existing area but you can of course also keep it and add the code shown above as an extension. I hope you were able to get nice pictures with little effort into your site! If not, post a comment and I’ll do my best to get it fixed!